room or security office - ideal for CCTV and alarm monitoring. 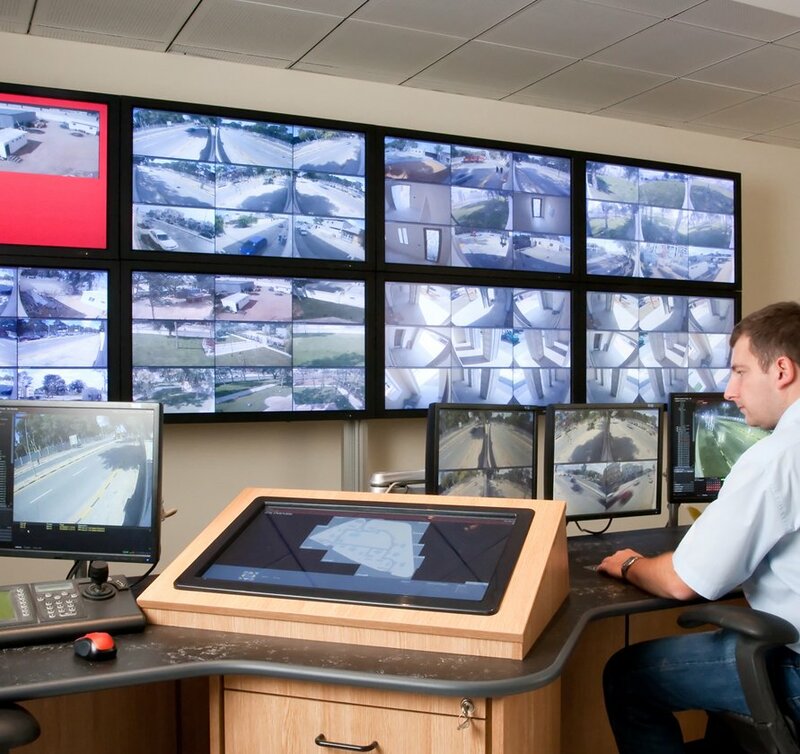 Using software solutions such as Command Centre from Gallagher Security, we can equip your staff or security guards with a bank of monitors to view a range of site CCTV footage, track site staff and visitors, or view alarm activations. 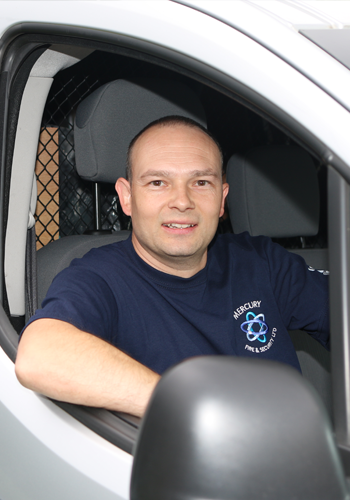 Take for example integrated, networked CCTV and intruder alarm systems from Mercury, allowing your CCTV equipment to react to alarm conditions. Or, perhaps you have the latest Milestone commercial CCTV installed at your office, and you'd like your PTZ cameras to focus on users presenting their fobs at the door? Your new commercial CCTV system from Mercury Fire and Security can integrate with your modern access system. The advantages are clear, and we'd be glad to discuss the installation of an integrated security solution with you. Increasingly our security solutions are able to integrate with the latest IT technologies, meaning you can set your security system from your iPhone, or view your networked CCTV, live on your PC, and much more. Find out more about security convergence, and control room software on Youtube!